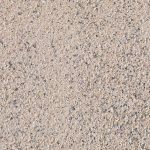 We produce a range of high quality step products that offer the choice of various finishes, including smooth, textured and granite aggregate options, vibrant and subtle colours and a number of sizes. The beauty of our steps is that they can be used alongside paving flags with the same appearance to ensure continuity of style where required, or alternatively they can be used to create an attractive contrasting feature area. We also produce step flags with a delineation strip as a health and safety measure.